We may have cold, but at least the sun peaks out and shines every few hours. It is even bold enough to bring some heat. When I was not indoors this weekend cooking, cleaning and doing laundry, I was able to spend some time outside. Although we stayed close to home this past weekend, it was nice getting outside for some play time, because my children have been going a little stir crazy. Is stir crazy running wild in your house? 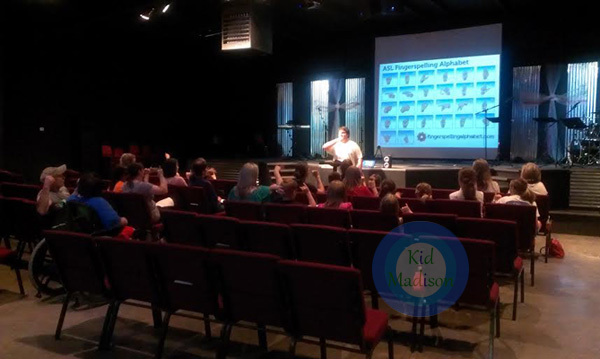 Find something on the Kid Madison Event Picks Calendar to do and calm that beast. Remember to always call to confirm the event. Monday: Tickets for Ballet Arts of Jackson’s (BA) production of Alice in Wonderland go on sale today. 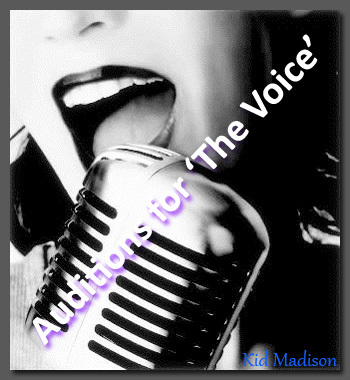 The performance dates are Friday through Sunday, March 18-20, at the Carl Perkins Civic Center. Tickets are also on sale for the Mad Tea Party on Saturday and Sunday, March 19-20. Get your tickets today. BA performances usually sell out quickly! Call 731-668-3240 for more information. Tuesday: Does your child or teen, ages nine to 17 years old, need to burn off some energy after a busy day? Take them to the Free Play/Open Gym Basketball at the T.R. White Sportsplex Gym (304 North Hays Avenue, 38301) in Jackson for an afternoon of exercise and basketball fun. It is free-play and free admission. Call (731) 425-8382 for more information. Wednesday: Did you know not far from downtown Jackson is the N.C.& St. L. Depot and Railroad Museum (582 South Royal Street, 38301). It is open six days a week and admission is free. 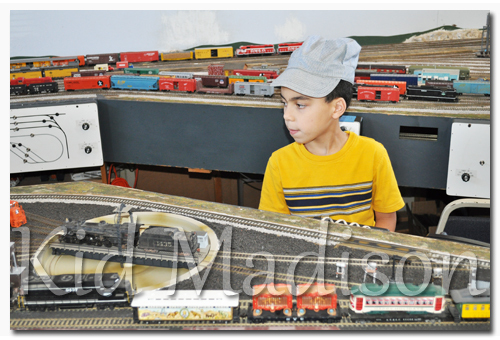 Train lovers of all ages will enjoy seeing (and conducting) the HO scale model railroad layout with 500 feet of track and four trains running simultaneously. There are also two different style cabooses and a 1947 dining car on-site for you to step into and imagine riding in as passengers did in the past. Stop in and visit at any time. Call (731) 425-8223 for more information. Friday: The Jackson Symphony invites the community to one of its free Open Rehearsal performances at the Carl Perkins Civic Center. Guests will learn about the orchestra, the instruments and how everything comes together for a magnificent performance. Call (731) 427-6440 for more information. Calling all middle school boys and girls, sixth through ninth grades, to the Zaxby’s 3 on 3 Basketball Tournament. It is double elimination and if your team can hold off the competition, it will walk away with a prize, a winning trophy and bragging rights. Plus, your participation will go towards raising funds for the Jackson Coyote 12U Baseball team to go to the World Series in Cooperstown, New York this year. The tournament will be held on Saturday, February 20 from 9 a.m. to 5 p.m. at the University School of Jackson (232 McClellan Road, Jackson, 38305). The entry fee is $30 per team if registered by Saturday, February 13, and $50 through Thursday, February 18 at 5 p.m. You may register online. You do not have to play to win prizes. There will be a raffle with prizes that include a big screen television and a 40-quart cooler. Come out and support the Jackson Coyote 12U. Call Ronnie Morris at (731) 803-3000 or e-mail for more information. There are just a few events that will cause me to drive the distance for my children. One of them is LEGOs and we drove to Nashville last year for LEGO KidsFest. The other is anything train related. 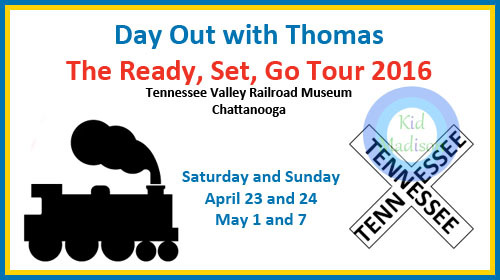 Well, if you have a fan of the steam locomotive Thomas the Tank Engine, pack your bags and make plans to head to Chattanooga this spring for the Day Out with Thomas “The Ready, Set, Go Tour 2016“. It is going to be a day full of family fun and one your train lover will never forget. Thomas the Tank Engine, a character in The Railway Series books written by Reverend Wilbert Awdry and his son, Christopher, have been delighting children for more than 70 years. The stories became part of a television series in 1979, attracting an even larger audience to the trains and their adventures on the Island of Sodor. According to a 2007 survey conducted by the National Autistic Society, more than 50 percent of the parents they spoke to with autistic children under the age of 10 responded well to Thomas whose stories gave them a sense of security. About one-third of those parents shared their children were able to “learn basic facial expressions from the characters.” Although the Awdrys created the characters in the stories as an ensemble, Thomas has continued to be the most popular of the trains. “The Ready, Set, Go Tour 2016” will be at the Tennessee Valley Railroad in Chattanooga Saturday and Sunday, April 23, 24 and May 1 and 7. Children will meet the Controller of the Railway Sir Topham Hatt, play with Thomas and Friends trains, listen to stories, do arts and crafts and get to meet and ride Thomas the Tank Engine. I don’t know about you, but I would say that is a great way to spend the day. Tickets are now on sale for Day Out with Thomas “The Ready, Set, Go Tour 2016”. Remember to bring your camera. Day Out with Thomas “The Ready, Set, Go Tour 2016”: Tennessee Valley Railroad Museum, 4119 Cromwell Road, Chattanooga, TN 37421. Tickets are $21 each for people two years and older and may be purchased online. Discount pricing is available for groups of 20 or more people. Although it has been many years since I have had a child in preschool, l still remember that period being full of a lot of change. It is a turning point in a child’s development as they begin their journey in school where they will be educated, learn more independence and make new friends. Starting today, Monday, February 1 through Friday, May 20, you are able to register your preschool age child as they ready to take their next step as a Jackson Madison County School System (JMCSS) student. Students must be four years old by Monday, August 15, and meet state mandated income eligibility requirements to apply. Parents are encouraged to enroll their child early. This will allow students to be placed and parents notified of acceptance to the program by the first week in May. Preschool locations for the 2016-2017 school year are Alexander Elementary School, Arlington International Leadership School, Denmark Elementary School, East Elementary School, Isaac Lane Technology Magnet Elementary School, Lincoln Magnet School For Mathematics and Science, The Montessori School at Bemis, Rose Hill Middle School, South Elementary School and Whitehall Pre-K Center. 1. Copy of the current year’s physical and immunizations on the Tennessee Department of Health Certificate of Immunization Form. The form must be signed at the top right hand corner for the physical, and checked on the bottom left hand corner and signed at the bottom right hand corner for the immunizations. Blue cards or Health Department Immunization printouts cannot be accepted. 2. Copy of a state certified birth certificate. A mother’s copy or hospital copy cannot be accepted. 3. Copy of Social Security card or verification of Social Security number from Social Security office. 4. Household Income Verification (most recent check stub, most recent year’s tax return, public assistance case number, SSI pay stub). 5. Three (3) Proofs of Residency in Jackson, Tennessee or Madison County (mortgage documents or property deed, apartment or home lease, utility bills, driver’s license, voter precinct identification, automobile registrations). Contact Secretary Ms. Keviunna Corley at (731) 427-6396 or by e-mail to learn more about the JMCSS preschool program. I don’t know about you, but the weather over the past few days has totally befuddled me. I am not sure if I should put on shorts or keep my coat on. Really, I am not complaining, because my children and I have enjoyed the warmer weather. I hope you and your family were able to get outside this past weekend. 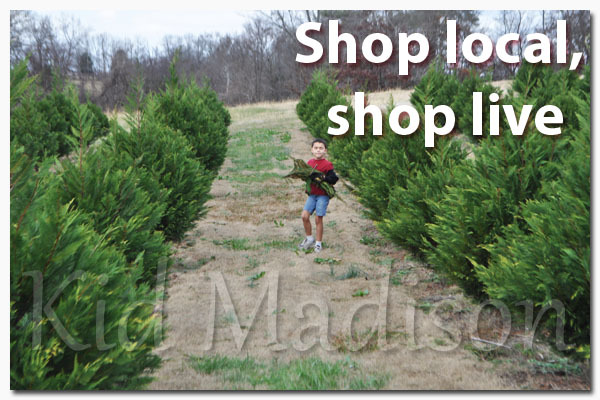 Just in case you are looking for something to do in and around the Madison County area, I have got a running list started for you this week and am adding more to the Kid Madison Event Picks Calendar. Let’s start planning now. Remember to always call to confirm the event. Monday: JMCSS Preschool Open Registration – Today is the first day that the Jackson Madison County School System (JMCSS) is accepting applications for preschool students for the 2016-2017 school year. Read for more information and learn how to register. Tuesday: Special Needs Gym Time – If you have a child with special needs and they enjoy exercising, bring them to the Westwood Community Center (3 Westwood Gardens Drive, 38301) in Jackson to walk or play basketball, volleyball or do other activities to get them moving. All ages of children are encouraged to participate and the event is free. Call (731) 425-8370 or (731) 425-8239 for more information. Wednesday: Jackson Christian School presents “Oliver! the Musical” at the Ned R. McWherter West Tennessee Cultural Arts Center (314 East Main Street, Jackson 38301). There will be two matinee performances on this day. See the Kid Madison Event Calendar for more information. The tickets are $3 for children and adults and may be purchased by telephone or at the door. Call (731) 425-8397 for more information. Evening performances are also scheduled. ThursdayThursday: “Champion Force Athletics” Cheerleading Class – Stomp, scream and shout with Champion Force Athletics cheerleading classes. The classes are for children four to 15 years old with three divisions: division one, ages four to six – 5:30 p.m.; division two, ages seven to nine – 6:30 p.m. and division three, ages 10 to 15 – 7:30 p.m.. Athletes will learn advance jumps, “cheernastics”, friendship building, safety stunting, spirit chants and cheers and teamwork skills. Focus will also be on promoting coordination, high self-esteem, physical fitness, poise and confidence and self-discipline. Registration is $7 a week with a $7 non-refundable registration fee and will be accepted through Thursday, February 11. Call Bridget Parham at (731) 425-8398 for more information. 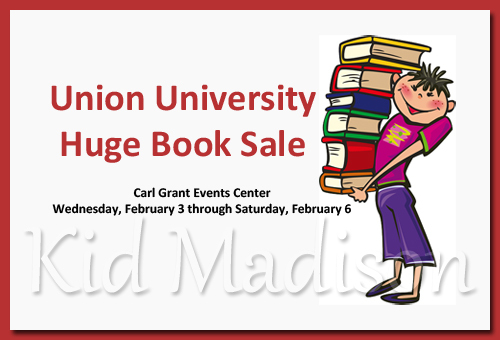 Friday: Union University Huge Book Sale – The Union University (UU) Huge Book Sale has been deeded the Super Bowl of Book Sales. That is all I need to know to be sure I am there. I love books and books love me. The selection promises to be ones of books for all ages, from children’s books to textbooks and everything in between. The sale will be held in the UU Carl Grant Events Center. Call (731) 668-1818 for more information. The sale actually starts on Wednesday! If you have ever considered learning a second language, American Sign Language (ASL) is a great one to learn with the family. Classes will be held weekly by Bridges of Hope Language Ministries at the Jackson Seventh-day Adventist Church starting on Monday, January 11. The first sign language class held at That Church Medina. Jake, who wanted to reach his community, first offered ASL classes in his home. He eventually moved them to That Church Medina, which was a larger location, to accommodate student interest. The move to Jackson is in response to the number of students he has coming from that area to attend the classes. The purpose of the Bridges of Hope ASL class is to teach families how to sign in order to bridge the communication gap between the hearing and deaf worlds, which explains the name of the ministry. Although the class is not a certified ASL program, it is comprehensive in instruction and students may join at any time, because each class begins with review. There is also no fee to attend, but donations/free will offerings are accepted. Jake began learning ASL at a young age from a neighbor, who was an interpreter. He later learned more from a family he met at his brother’s special needs martial arts class. Students will have many opportunities to apply what they learn in the class. 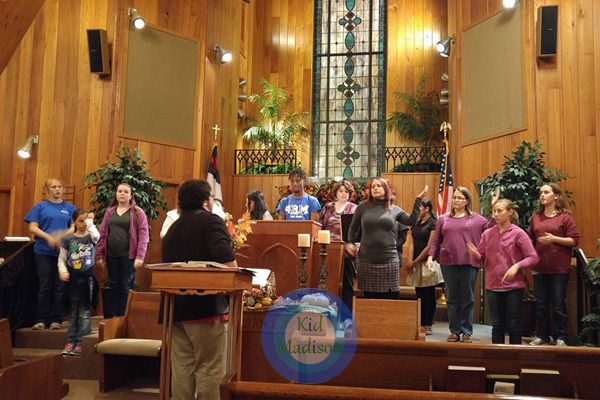 They may participate in various performances presented by Bridges of Hope, and attend events and conferences where there are opportunities to use their ASL skills in a practical sense. 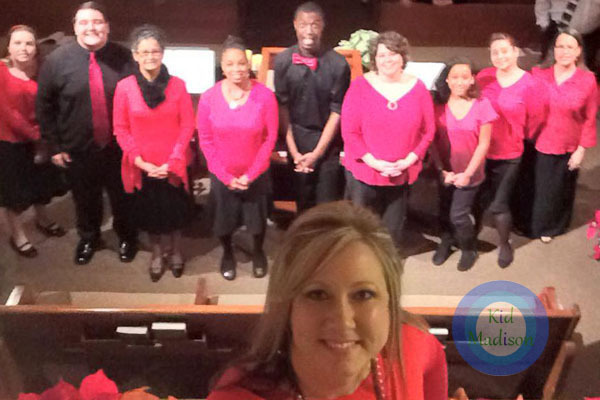 A selfie taken at the Bridges of Hope Christmas program. Jake noted the ASL class is not religious, but educational. “You do not have to be Adventists to join the class! We welcome people from all different faiths and all of our events are open to the public, so we encourage students to invite friends and family,” said Jake. The Bridges of Hope Language Ministries Community Sign Language class: Mondays at 7 p.m. in the Hines Memorial School on the campus of the Jackson Seventh-day Adventist Church, 1902 Campbell Street, Jackson 38305. Call Jake Mabile at (731) 616-4168 or e-mail him for more information. All pictures courtesy of Bridges of Hope Language Ministries. Jackson State Community College (JSCC) will host an open house on Saturday, January 9 from 10 am. To 1 p.m. Prospective students are invited to the campus to see the academic and social offerings of the school. High school and current college students, as well as those considering returning or entering college for the first time are invited to visit the school. During the open house, you will be able to tour the campus, meet JSCC students and discuss your academic goals with advisors. JSCC is a TN Promise school, so make plans to attend and see what Madison County has to offer in higher education. This is a free event. Contact Countance Anderson by e-mail or call (731) 424-3520 for more information. Jackson State Community College: Open House, 2046 North Parkway, Jackson, 38301 from 10 a.m. to 1 p.m. If you are a lover of animals, volunteering for the Saving the Animals Together (STAT) Holiday Wrap fundraiser is one you will enjoy. STAT will hold the wrapping fundraiser at Tractor Supply Company (TSC) in Jackson on December 5, 12 and 19 from 10 a.m. to 2 p.m. This is the third year the fundraiser has been held to benefit STAT, which is a foster-based rescue and community outreach organization assisting homeless and abandoned animals. Who knew watching people compete in singing competitions would become a favorite American pastime? The Voice, which airs on NBC, has thrived in popularity for nine seasons and returns in 2016 for its tenth season. A new season means new contestants, and there will be open call auditions held in Memphis on Saturday, January 23. With the passing of Thanksgiving, the green light is officially on to begin the Christmas holiday season. One of the experiences I most enjoy about this season is heading out as a family to choose our live Christmas tree. I have many fond memories while growing up of waking early in the morning and going with my family to the local co-op in search of the perfect Christmas tree. The tree had to be one that would stand tall and gracefully in our living room and not lose its presence against the gifts that would later surround it. Each year, we always found the perfect Christmas tree. The first year we moved to Tennessee was the first Christmas I ever experienced with an artificial tree. Christmas was not the same. I missed the hunt for the tree; the prepping it for display and smelling its freshness every time I walked into the room. I am just a live Christmas tree kind of girl.